Well that wasn’t in the plan. Never in a million years did I see it happening, not even when I rode as fast as I could, on my brand new bike, trying for the first time ever, to pump nice and hard into the fast and flowy descent on Forest of Dean’s signature blue trail. Me and my trusty hardtail have ridden the Verderer’s numerous times and never parted company, not once. Even on the more technical, rocky descents at Bike Park Wales and Afan, when I was hanging on for dear life with borderline carpal tunnel syndrome, I never came off. But the new wheels in my life – my beautiful, silky smooth Specialized Rhyme full sus – is an absolute beauty and boy does she fly. The thing is, I don’t, do I? You have no idea how excited I was to see what this bike could do. After a couple of years’ battling it out on the hardtails me and hubs gave into temptation and finally upgraded our trail toys. We’re just turning 30. Most people have kids or buy a house, we bought more bikes. n+1 and all that. You can’t go mountain biking when you’ve got a sprog to feed, can you. 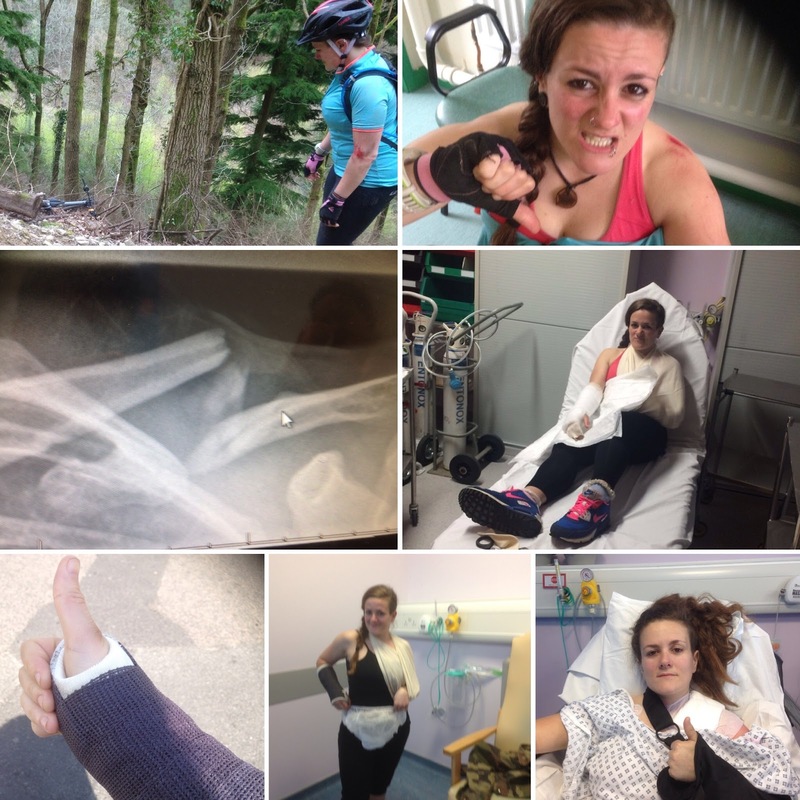 (Fully aware that you also can’t go mountain biking with broken bones either, but humour me here). Anyway, it was the early May Bank Holiday, we were on our way to Wales with the new wheels for a weekend of camping in the van – life was good. 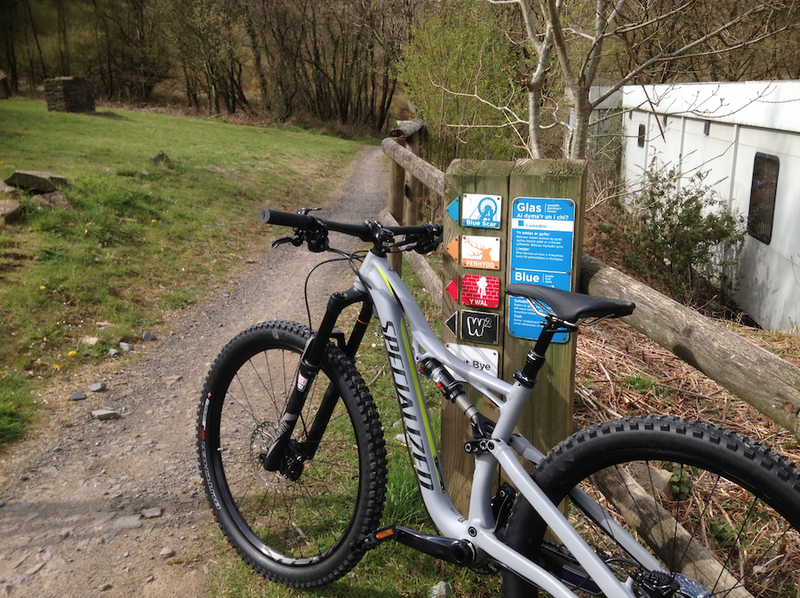 Afan, Bike Park Wales, and finishing off with Forest of Dean. Van life rules, by the way. Freedom. Just get in and go. Take your bikes, pack the stove/grill and electric coolbox, get some beer, head to the hills and you’re onto a cracking weekend. I was always gonna ride hard – go hard or go home, in fact. Well I went hard and then I went home – with 26 segment PRs on Strava, a broken left collarbone and broken right wrist for my efforts. They don’t give trophies for those do they? Oh yeah, and I got a chipped tooth from stacking it the previous day at Bike Park Wales on a difficult rocky trail we’d never ridden before, aptly named, (wait for it…) Rim Dinger. That was just a little fall though, a rookie error on a challenging cambered section – I looked where I didn’t want to go, knowing it would be a trip over the handlebars if I did. Don’t look at me like that. I know what you’re thinking. Take it easy Tess, calm down, why do you need to go so fast? Can’t you stick to the easy trails? I could, yes. I won’t though. You wouldn’t either, not really. And anyway, the trail I broke my bones on was the ‘easy’ trail – graded blue. I just got cocky on its lovely fast, flowy descent, with its flat out corners, big berms and rollovers. (ROLLOVERS, Tess, the clue’s in the name). I didn’t do much rolling over. 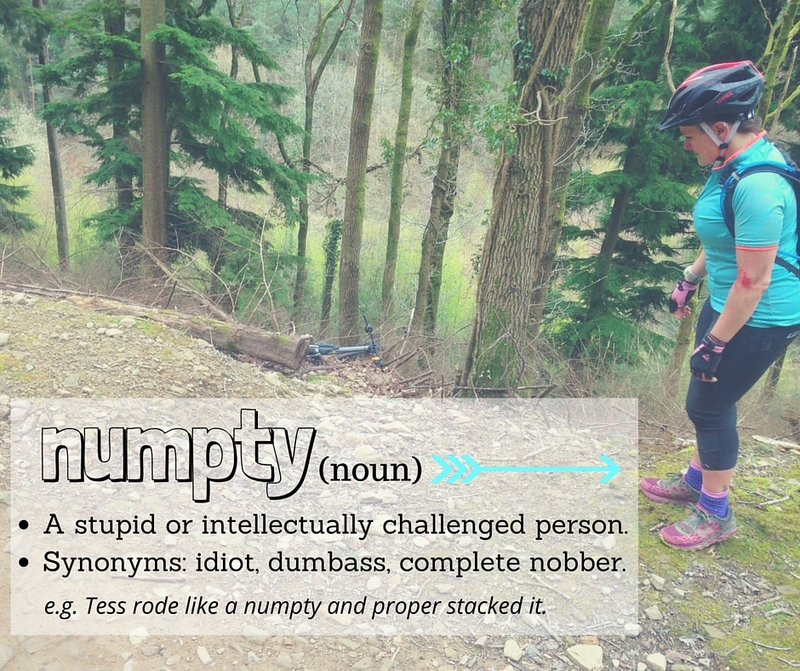 I pumped into them all, nice and hard, and somewhere in the air after the last one remembered that I, Tess Agnew, am an absolute numpty and cannot jump a mountain bike. If you wanna see where I stacked it check this video from someone else’s GoPro, I’ve cut to the rollovers. Cut to a minute or so later and a concerned hubby ROLLS OVER the rollovers to find me lying on the floor muttering gibberish to myself with my bike half way down the ditch (see top left photo for my ‘what’s going on ‘ere then?’ face). He sorts a makeshift sling, picks up my bike and gets another rider behind us to help push my bike down to the trail centre and call an ambulance. I can hereby confirm that walking down a fast, flowy descent section of one of my favourite trails is, um, a bit, well, meh. The bike was fine, by the way, I think. Haven’t had her checked out yet, booked in for service in a couple of weeks, but can’t see any damage apart from maybe a slightly buckled back wheel. It’s been two weeks since the operation to fit a plate in my clavicle so got another four-six to go before I can get hopefully back on the road bike. Mountain bike will be a bit longer – and when I do, it’ll be pootling across the South Downs Way, not throwing myself down the trails again just yet. 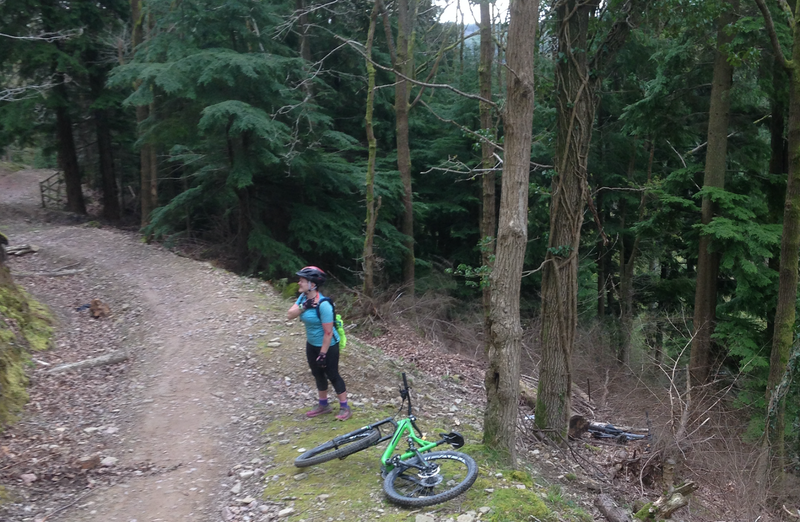 I wanted this post to be about how great mountain biking is in south Wales and FoD but got a bit preoccupied with my epic fail. Have you ever had any gnarly accidents? Would you get back on the bike?